When it comes to beauty, Instagram is the ultimate platform for self-expression and exploration of artistic flair, and no time of the year does this better than Halloween. This week I shall be spotlighting five of the most iconic Halloween makeup looks created by artists especially for the spooky season. First up, is Manchester-based self-proclaimed makeup enthusiast Jodie Hulme (@jodiehulme), who is a fashion business student. Jodie’s feed is inundated with highly artistic and original pieces, often challenging traditional conventions of beauty. She titles this look ‘Demonic Dream’. 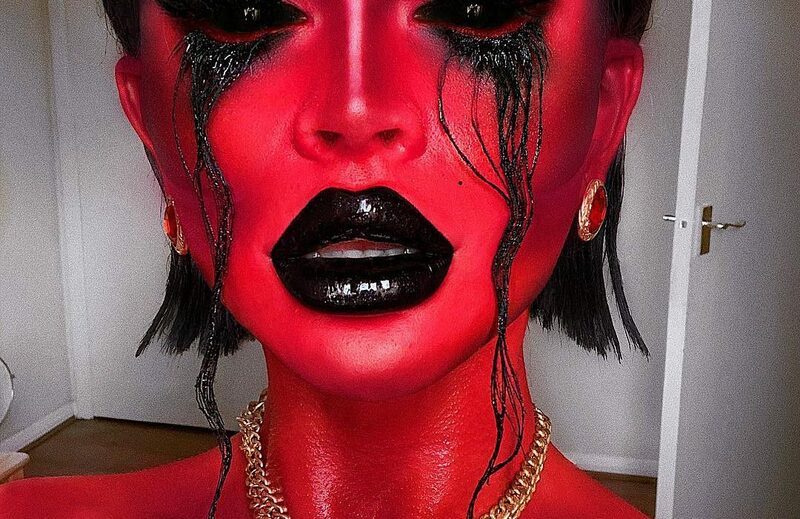 Next in line for the spotlight is the makeup artist whom Jodie gained inspiration from for her ‘demonic dream’ piece, Desi Perkins (@desiperkins). Desi is a YouTube vlogging sensation and makeup artist, who has had celebrities like Kim Kardashian appear on her channel. This outstanding look, which she describes to be a ‘voodoo witch doctor’, amassed attention from huge make-up artists all around the globe. You can watch her create her ghoulish masterpiece on her YouTube channel. The third make-up look comes from an upcoming beauty influencer named on social media as ‘@laviedunprince’. His makeup look takes a step away from the extreme SFX make-up used in the previously mentioned looks, and combines more conventional beauty tropes, such as contouring and cut crease, with an enchanting twist. Another artist I would like to highlight is Mimi Choi (@mimles), who is well known for the astonishing optical illusions she creates with makeup. Although not strictly created for Halloween, her looks are certainly not for everyday wear. This piece is described as a faceless illusion, inspired by Salvador Dali’s bronze sculpture. The last, but by no means least, look that I would like to draw attention to comes from London College of Fashion student Bran Alunan (@branalunan). Having followed Bran for a number of years now, I have watched him flourish in the beauty industry. I still remain in awe of his artistic capabilities, as he always seems to be pushing the boundaries of what is achievable with makeup. He captions this exceptional piece ‘Repent my sins’.